Electric motors and their application in aerospace are set to be the topic of countless discussions at this year’s Airshow. This presents an ideal opportunity to see industry leading products and meet the Integral e-Drive team on the Midlands Aerospace Alliance (MAA) in Hall 1 Stand 1330. The Midlands Aerospace Alliance (MAA) has drawn upon its vast membership to present a global shop window of some of the best products, technologies and services on offer today. Having made a name for itself in Motorsport and automotive premium brands with advanced electric motors, Milton Keynes-based Integral Powertrain’s e-Drive division will join the MAA to show the aerospace sector what is achievable in high performance, high efficiency, and power dense electric motors. Driven by changing legislation, new demands on future modes of transport and step change leaps in technology and end user requirements, the aerospace industry is an exciting environment to work in and be part of. Drone and autonomous air taxis are the tip of an iceberg of rapid change and a future that is far from set. As a technology development partner with major aircraft manufacturers, incorporating bespoke electrical machine and converter design, we offer innovation to existing and new topologies. 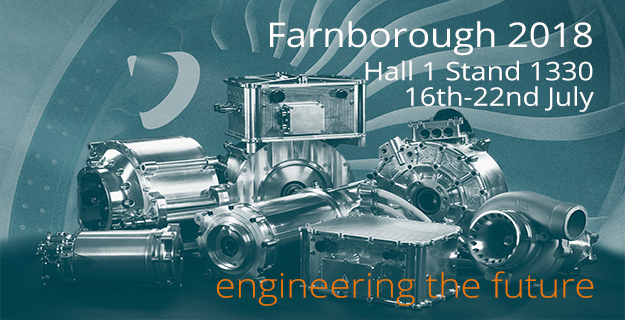 The Integral e-Drive team will be on hand to discuss how their world leading technologies, developed for the automotive and motorsport sectors, can be applied to meet the challenges facing aerospace OEM’s today. Delegates are sure to be impressed by the performance that Integral e-Drive’s technologies can deliver and the physical products on display. The Farnborough Airshow is a magnet for trade and public working towards, using and excited by future air travel. It hosts a jam packed 7 days of conference & networking, exhibition and live demonstration and is a noisy, busy and often exhilarating experience for participants and visitors alike. The organisers boast it is the largest industry event in the calendar. At the last event in 2016, $124 Billions orders and commitments were placed and they expect approximately 80,000 visitors when it opens to the public. For more information visit the Farnborough International Airshow website. Also Midlands Aerospace Alliance pre-show review.